PET is a great packaging material that is a good barrier to gas and moisture, and also has a good resistance to heat. PET is durable and highly resistant to dilute acids, oils, and alcohols. 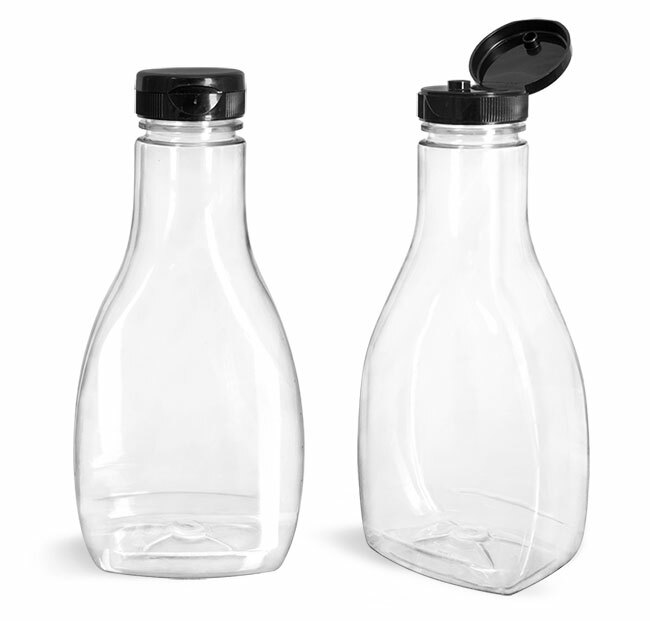 These PET sauce bottles come with black ribbed snap-top caps that have PS22 liners and a .25" wide orifice to dispense product. The pressure sensitive liners in these caps will adhere to the container when the cap is fastened to provide tamper evidence. 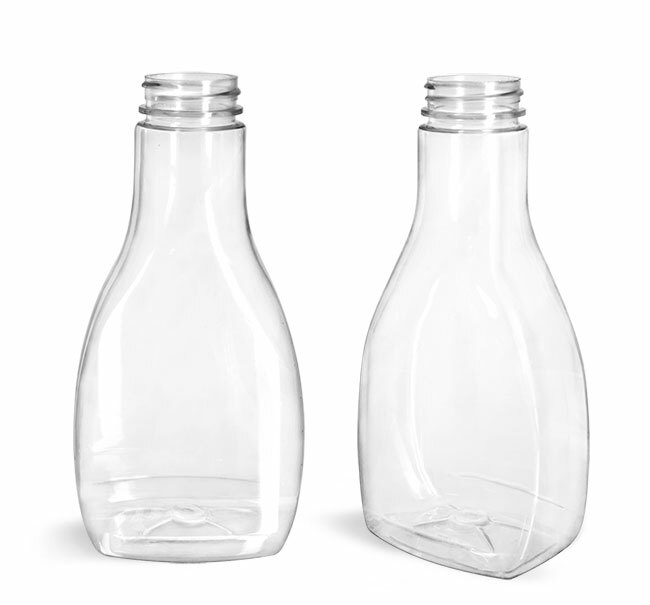 These sauce bottles could be a great option for packaging marinades or condiments.